The 6th Scent is a local momtepreneur. 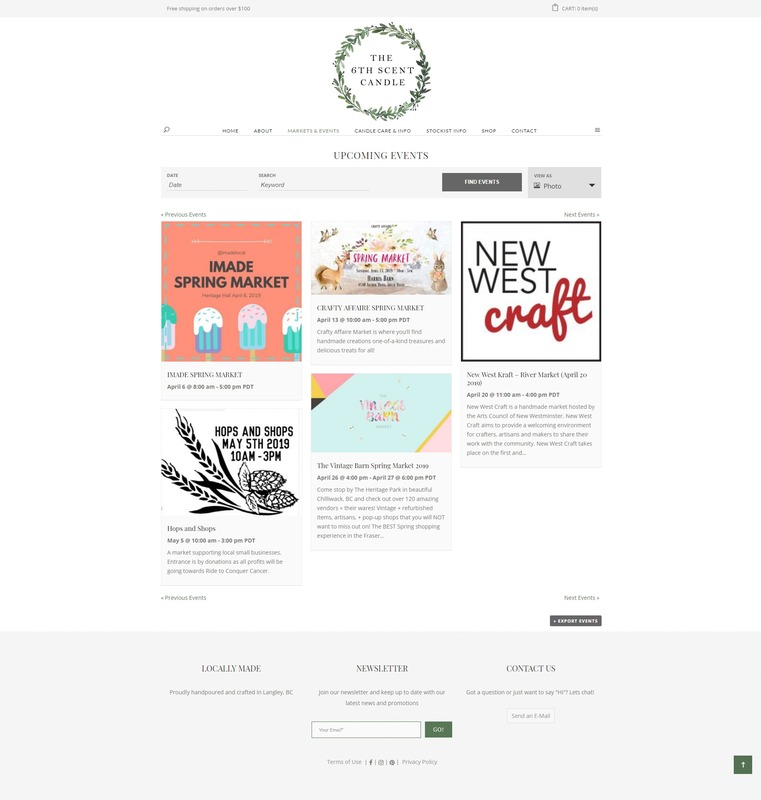 Our favourite soy candle baker attends markets, sells online and has her product in stockists across Canada. She wanted to make sure that her online presence had good branding, linked to her strong social media presence and showcased her product and stockists. 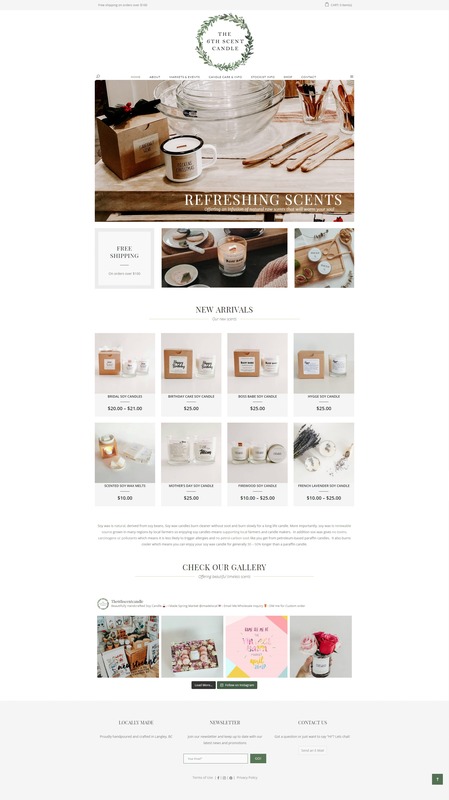 We Built and woocommerce based online store that links to square as her payment processor, an events calendar that allows her loyal local clients to find her across the lower mainland, and a page that not only showcases her stockists but shows them on a map so you can quickly get directions to their stores.